Our work with schools, colleges and universities isn't just about supplying kit. We help design, manfacture and source the right garments, arrange school and college fashion shows, design order forms, offer measuring sessions, help with outsize fittings, deal with the parents and even deliver the goods in a bag with the learner's name on it. That's service. 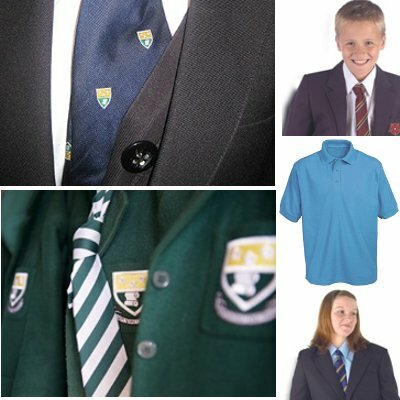 We only supply schoolwear from sources that we know are reliable and of good quality with hard wearing, colour fast materials that don't shrink or lose their shape. We work hard to ensure that the personal touch is there in everything we do. Our services to schools and colleges provide everthing from measuring and fitting to on-line ordering so that schoolwear provision is as simple as possible. As always, our main aim is customer satisfaction which is why, year on year, we're working with more schools and colleges. It's no accident that our open, honest approach takes the hassle out schoolwear provision. Would you like to try with a company that's just that bit different? We'd be really pleased to hear from you. Contact us.